Some think that trusts are used only for end-of-life planning. Trusts, however, are like wrenches: they come in a wide variety of shapes and sizes, each particularly suited to a particular need. Some are for wealth accumulation while others are for wealth preservation, and still others are designed to protect future generations. In this edition of The Wealth Counselor, we look at some of the kinds of trusts that can be employed to deal with particular client concerns and needs and how they fit into a client’s overall wealth accumulation and preservation plan. Trusts address a wide range of clients’ financial and wealth-management needs. Trusts are compatible with clients’ investment programs. In addressing client needs, trusts add value to the overall plan and may provide important net cash inflows. For more complex and strategically important clients, an integrated trust program often significantly enhances the total benefit achieved by the wealth plan. Clients deploy their dollars to achieve wealth accumulation and preservation. Some of those deployments are classified by accountants as “investments,” because they are a transformation of cash into something that can be sold for cash. “Investments” are things like cars, houses, stocks, bonds, mutual funds and life insurance cash value. Others deployments are classified by accountants as “expenses,” because what they buy cannot be sold for cash. “Expenses” are things like property and casualty insurance premiums, mortality costs of life insurance, and fees to doctors, attorneys, accountants, financial advisors and insurance agents. Both wisely made “investments” and wisely incurred “expenses” are key to successful wealth accumulation and preservation. 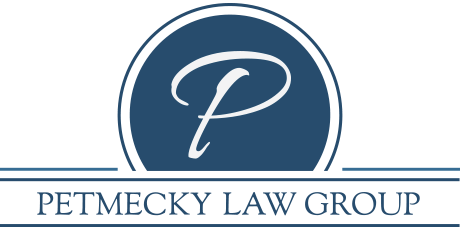 For some wealth preservation and accumulation strategies, an attorney is an essential member of the client’s team. The selection, creation and effective use of trusts is such a strategy because selection of a trust strategy involves giving legal advice, which only attorneys can lawfully do, just as only licensed financial advisors can lawfully sell securities. We are not talking about the trusts and estates attorney providing the trust document as a commodity. Stationery stores do that. The value the trusts and estates attorney provides to the client and the wealth planning team is his or her specialized knowledge, experience and wisdom. Recommendations that the client expend dollars should be made only after a detailed due diligence process that assesses costs, potential profits, and possible risks incurred and avoided. Portfolio managers have analysts, research, and software analytics to support their due diligence process and help them predict a security investment’s expected results. They assist the manager to make informed recommendations about what would have the highest probability of achieving the client’s goals for the portfolio. Expected return ranges and investment risk are the two sides of the same coin for each investment. If risks are well understood, they can be better quantified and that allows for better prospects of harvesting of profits and client understanding of the realities of investing. Just as the financial advisor makes investment recommendations after considering a range of possibilities, a trusts and estates attorney makes a trust recommendation only after analysis of the client’s needs and goals, and whether they can be best met by a particular trust strategy. To achieve wealth preservation and growth, clients make upfront investment in the form of legal fees, financial advisor fees, accounting fees, and asset purchases. Then, with continuing management and monitoring, financial rewards accumulate over time. What You Need To Know: Unlike investment selection, which uses experts or specialists for analytical support, non-attorney wealth management practitioners sometimes don’t take full advantage of the comprehensive benefits of trusts because trusts’ technical nature creates a zone of discomfort. Different types of trusts are used to target specific client needs and objectives, just as different classes of investments play a specific role in the client’s wealth preservation and growth strategy. To safely and comfortably include trusts in wealth planning, the advisor team needs to include an estates and trusts attorney. A trust’s specific provisions will use tax, asset protection and other laws to meet client needs with precision. In wealth planning, it is critical to remember that a dollar saved through taxes not paid, expenses reduced, or losses avoided has the same effect as a dollar of investment return. By effecting client expense and tax savings and risk avoidance, trusts create efficiencies that increase clients’ overall net profits across time. In developing the client’s financial and wealth-management/preservation plan, the client’s needs are matched to the best implementation tools at the lowest total cost. No single financial plan or investment product solves all clients’ needs and the same thing applies with trusts. Trusts are not just for the affluent to the ultra high net worth client. Some trusts are designed to meet the particular needs of low income or disabled clients and those who fear running out of money because of nursing home expenses. Such trusts have the added benefit to the advisor team of preserving assets under management. Also, trust can be designed to hold less common investments and wealth, such as private stock, heritage property, and life insurance policies, and efficiently and privately transfer wealth and business control between generations. What You Need To Know: The most complex client needs may be insoluble without using trusts. Even with less complex needs, whether a trust will provide a positive investment to benefit ratio merits consideration. Trust implementation requires attorney support because only attorneys can lawfully provide legal advice. This support comes at a cost. As Abraham Lincoln said, “A lawyer's time and advice are his stock in trade.” Just as the benefit of financial advice has to be balanced against the cost of having a financial advisor’s input, the investment in establishing and maintaining a trust has to be viewed in light of the benefits the trust provides. The old adage, “You must spend money to make money” holds true with an investment in a trust. Different trust structures have different complexities, costs and benefits. As with other investments, the benefits typically accrue across time. Therefore, if only set-up costs are considered, an inaccurate picture results, often to the client’s financial detriment. The table below lists some of the costs and benefits of trusts. Not all benefits apply to every trust. Generally, the more basic and less expensive the trust, the lesser the total benefits. More sophisticated trusts, while costing more, typically deliver much higher positive cash flows across time. A trust’s benefits can accrue while the trust founder is living, at death, and after death—and sometimes for generations. Contrary to common misconception, trusts’ benefits often accrue very much while the founder is living. What You Need To Know: The manner in which a trust program’s benefits exceed its costs is a function of the client’s circumstances, wealth position, needs, and/or aspirations. For any investment solution, trusts included, the test is: Will it put the client in a better position than before? With trusts’ flexibility comes some complexity. To maximize client benefit, create a multidisciplinary team including a trusts and estates attorney. Familiarize yourself with case studies showing how trusts benefit clients. Review current clients’ needs, considering where a trust might provide benefit. Incorporate discussions of trusts’ potential benefits in your client proposals and presentations.